Some fifteen years ago, a serendipitous meeting took place at an art opening in Sarasota, Florida. I met wildlife film photographer, classic music trained composer, musician, artist and ‘truth-sayer’ Darryl Saffer, and a connection was founded. We did not know what the connection would lead to, only that we had a lot in common and thought it might be fun to do something together. We kept running into each other from time to time, like when Darryl was filming the first blooming of the giant Amorphophallus titanum (Becc.) Becc. at Selby Gardens in Sarasota, Florida. But nothing solid popped up as far as a mutual project goes. Then one day Darryl approached me at one of my own art exhibits at the Museum of Botany and the Arts at Selby Gardens. He had been looking at my watercolor paintings depicting orchids and orchid habitats and was intrigued. He then asked me if he could video photograph them and put together a short film accompanied by his own music. I was flattered of course and agreed. Creative minds began to churn and this little project eventually became the seed for something much larger. One day in 2008, Darryl came to see me at the former Orchid Identification Center at Selby Gardens, where I worked as a curator at the time. He wanted to share some ideas with me. What if we decided to make some orchid documentary films together? There were lots of animal films out there with lunatics wrestling with crocodiles, scaring elephants and scrutinizing the private lives of lions etc. But nobody has made anything serious about orchids. It seemed like a good idea and it would also promote my institution I thought. As it turned out, there was no interest in supporting this idea among the decision makers, except for the interim director Jessica Ventimiglia. She immediately saw a potential for something good and encouraged us to pursue this project. Unfortunately, the institution was out of money so the support would be limited to moral. But as we were allowed to work on this project during my paid work time, it was indeed very helpful. The question then was what to call this film project. Darryl eventually invented the name “The Wild Orchid Man” series (because he definitely wanted to do a number of films). I thought it sounded crazy and did not like it at all in the beginning. It would give the wrong impression I thought. People would think it was about a “wild man’s” adventure that featured something with orchids, expectantly wicked in some way. But as I was mulling the title over, I began to soften a bit. So what if people think it’s about a ‘wild man’s’ adventure with orchids? Wouldn’t that peak their curiosity? 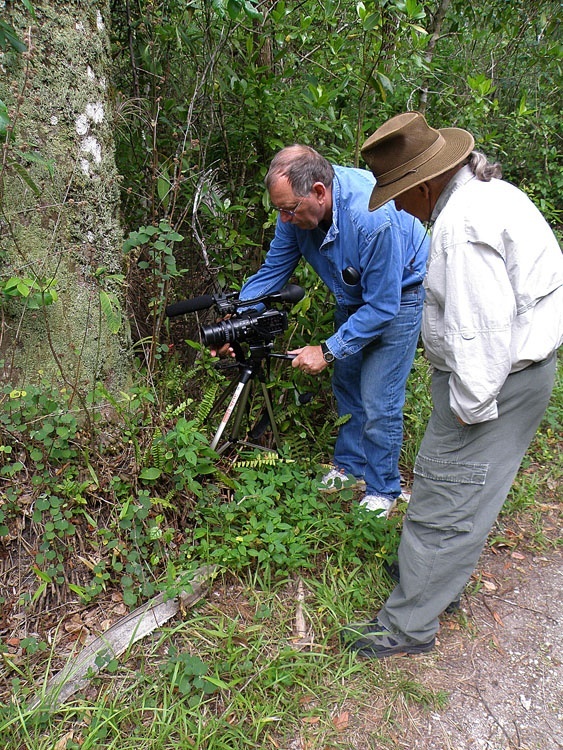 And when they find out that the film is a documentary about wild orchids instead, and narrated by a very “normal” man, they may actually find it interesting and learn something new, if we did this right. I finally agreed with the title and told Darryl to cast away. Now the question was what kind of film we wanted to do? We were both very tired and bored with all the new trends in nature filming, with 3 second clips repeated over and over again, showing outrageous, violent or stupid action scenes between man and wildlife. It has become fashion to show Man versus Nature today, instead of Man in Harmony with Nature, or preferably Nature without Man. Darryl and I were sick of it. We wanted to do something similar to BBC’s approach through David Attenborough’s wonderful narration. An artistic, entertaining and enjoyable walk in the forest, searching for orchids, and possibly learn something about them along the way. So where to first? 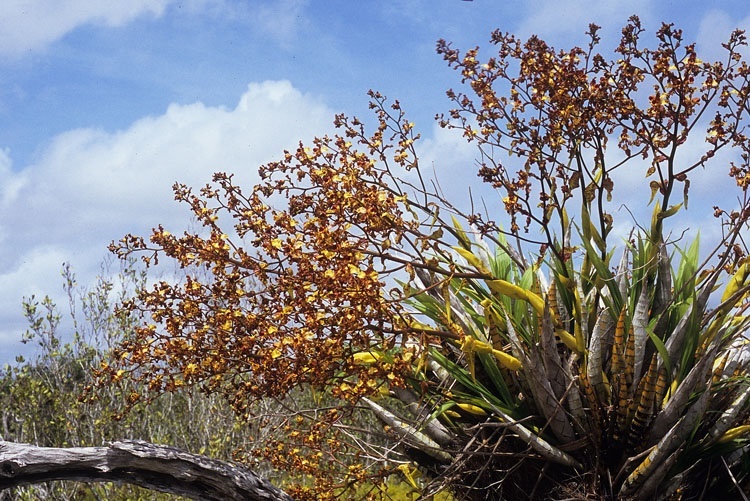 The only good orchid habitat within reach for a Wild Orchid Man team without money was the Everglades. 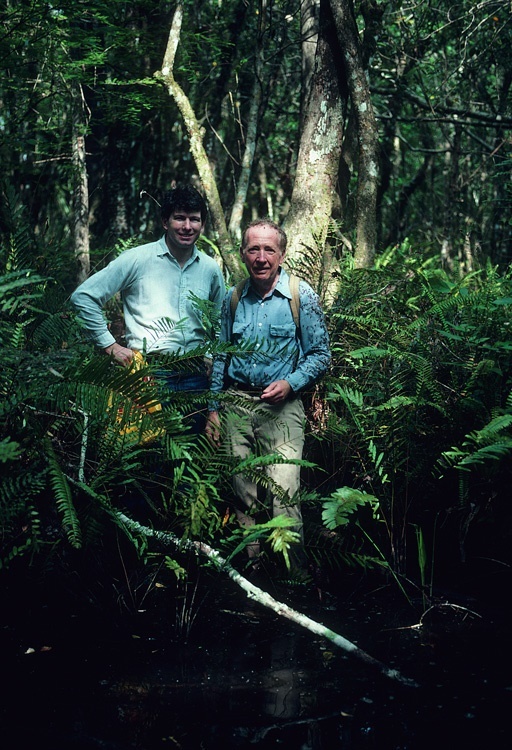 I had visited Fakahatchee Strand State Preserve once in the early eighties together with Carl Luer and Phillip Cribb. It was an eye opener for sure. 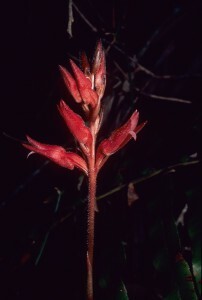 Carl is the author of the classic The Native Orchids of United Sates and Canada, and also The Native Orchids of Florida. 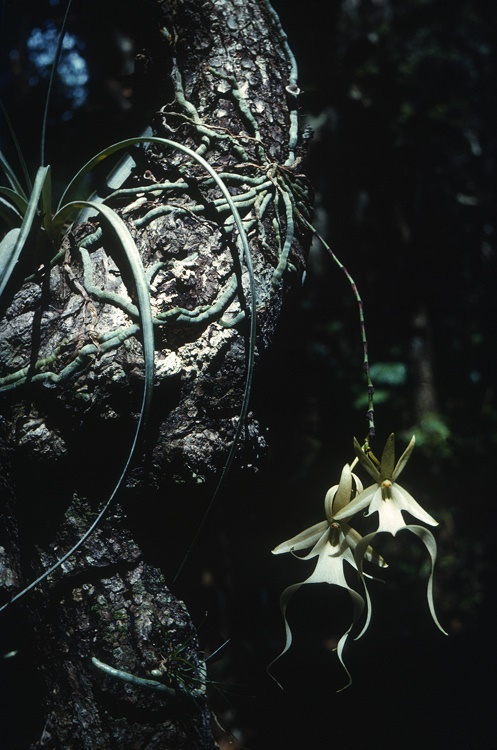 His orchid interest began one day in 1957 when he and his wife Jane were admiring a plant of the Florida ghost orchid Dendrophylax lindenii (Lindl.) Garay). Carl was astonished to realize that such a marvelous creature existed in his own “backyard”. They both decided that they wanted to see it in nature and set out for the Everglades. After seeing the first wild growing ghost orchid, Carl was hooked and never looked back! 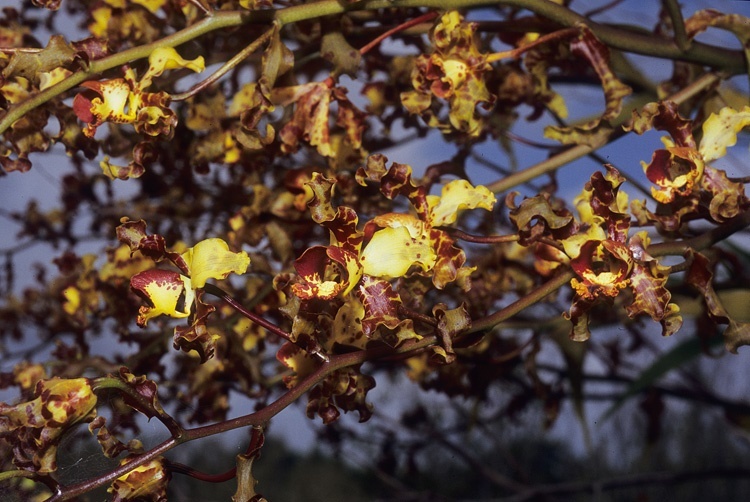 He still works actively at age 93, describing new orchids. The current project is a treatment for the genus Stelis Sw., in Colombia. I have had the pleasure and honor to work with Carl for almost thirty-five years now and have a never ending pile of drawings to ink on my desk. So Darryl’s and my decision was simple. We were going to make a film about looking for the ghost orchid. The background was that I wanted to make a watercolor illustration of it but needed to see it alive in its natural habitat in order to get the right feeling for the composition. That was the “story”! We contacted Mike Owen, an old acquaintance who would be perfect to have as a guest expert and guide. 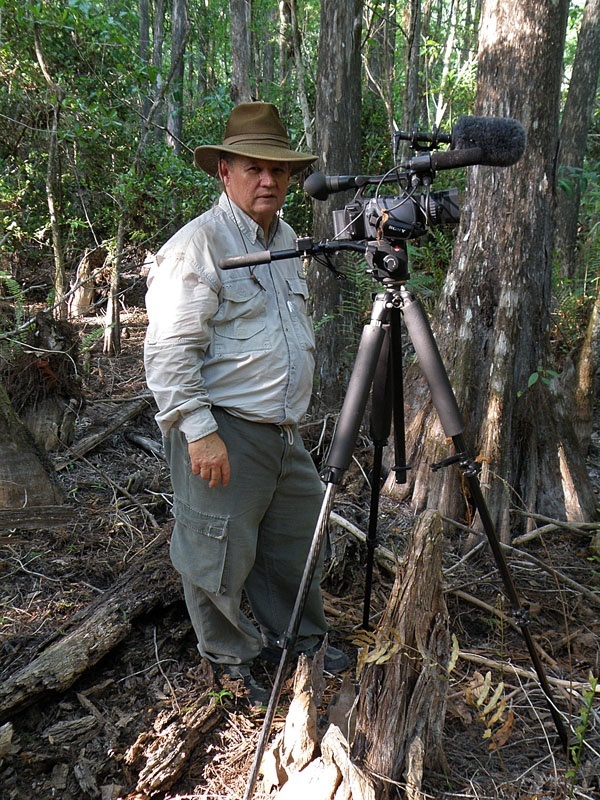 Mike worked and still works as a biologist at the Fakahatchee Strand Preserve State Park. Once we got hold of him, which is not easy, Mike immediately agreed to participate in our project. 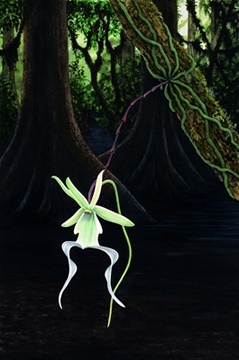 We appropriately named our pioneer film “The Wild Orchid Man in the Ghost Orchid Swamp”. A miniscule budget needed an impressive name to send the right message we thought. Darryl and I went down to meet Mike and to do our first ever shooting of wild orchids together. It was highly memorable! Mike turned out to be perfect for the job and we had a great time as we were sloshing through the murky waters, happily chatting away. Mike and I soon almost forgot about Darryl and had to wait for him to catch up from time to time. It was cruel to have him chase us through the sometimes almost impenetrable vegetation carrying his heavy and awkward tripod and large video camera. But it was fun. 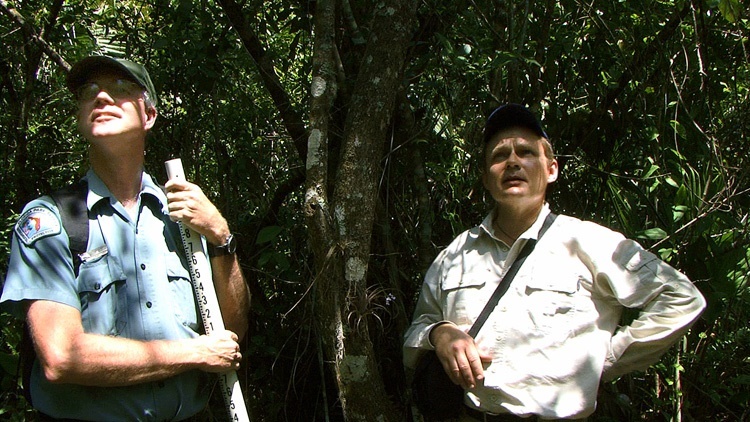 One particular moment was when Mike promised to show us the endangered cow horn orchid Cyrtopodium punctatum (L.) Lindl. 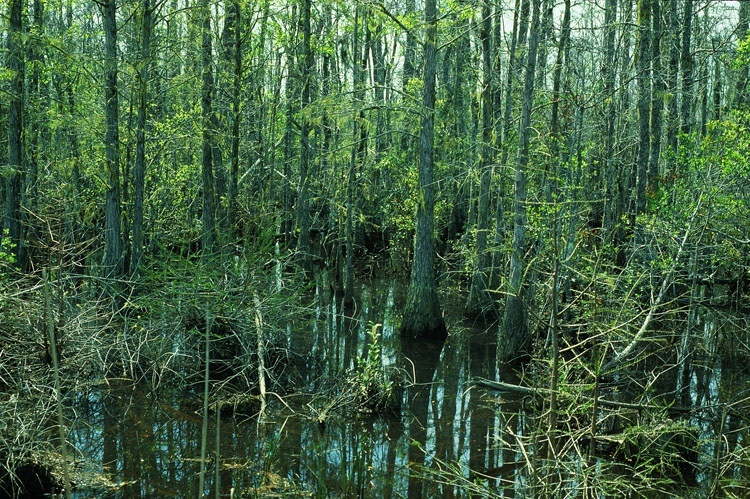 It was growing “only about a half-hour away” straight into the never lands of Fakahatchee. Phil Chiocchio, a photographer friend of Darryl’s accompanied us that day and he was carrying the same kind of heavy camera equipment around. After what appeared to be half a day rather than half an hour, we finally arrived at the spot where the Cyrtopodium plant was supposed to grow. As Mike approached the site he suddenly froze, as if something dawned on him. He quickly turned around, flashed his charming smile and said that he just remembered that this was the plant that died last year. But he knew of another one, barely half an hour to the north of where we were. And then he took off. I almost laughed myself hare-lipped when I watched Darryl’s and Phil’s facial expressions. 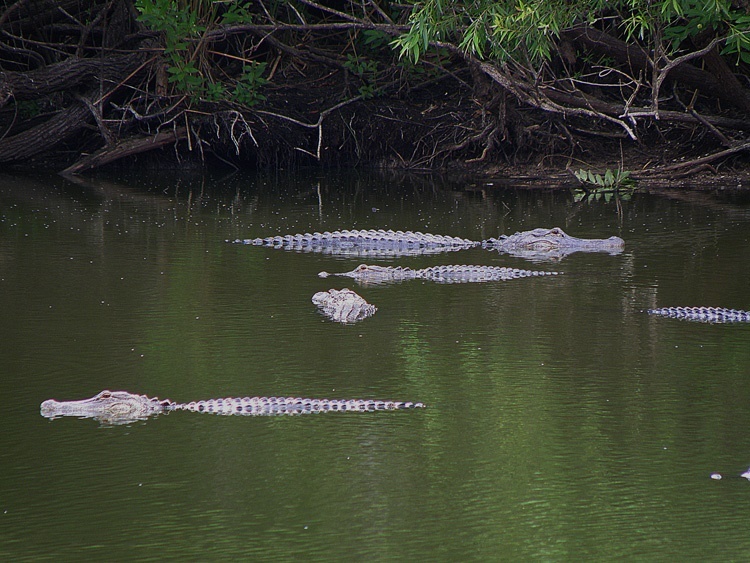 Had they known where the nearest “gator hole” was, there could have been a mighty feast for the reptiles. But we finally found the orchid we searched for and everybody was happy. Darryl worked on the film for about a year before he was satisfied with the result. 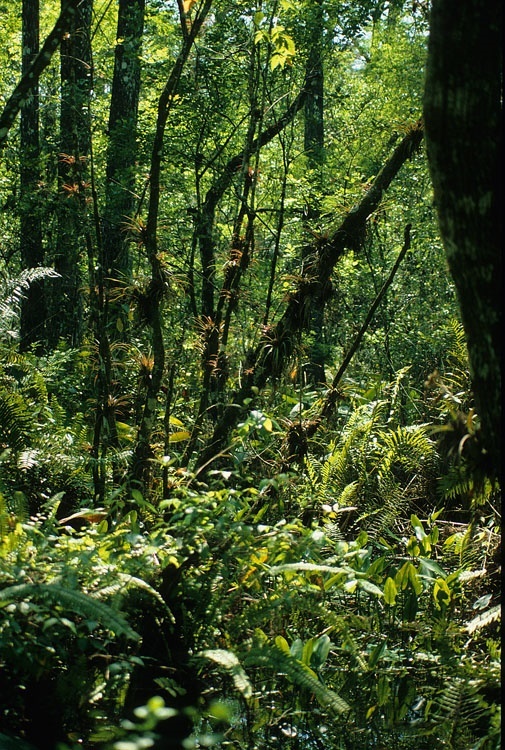 We went back occasionally to Fakahatchee and once to the Corkscrew Swamp Sanctuary for additional footage. Then one day it was time for the Big Day opening. The one hour long orchid documentary was screened at the Burns Court Cinema in Sarasota in October 2009, for an enthusiastic audience that filled the house. The film was well received and considering that is was our first project together, without any kind of rehearsals or manuscripts, not to mention money, I am very happy with the result. Darryl did all the work himself in his own studio. He composed and performed the music, edited the footage and put it all together. We screened it in several places in Sarasota, and it was actually given an award as “Best Local Nature Show” by the Creative Loafing newspaper. The reaction among people who understood what we were trying to do was overall very positive. But we also received some critique from those who inevitably thought they were going to see a Wild Man’s adventure story with orchids. Oh well, it was expected I suppose. No good deed goes unpunished they say. So with a lot of experience, but still without funds, we decided to move on. Where then should we go to elevate the project to the next level? South America! 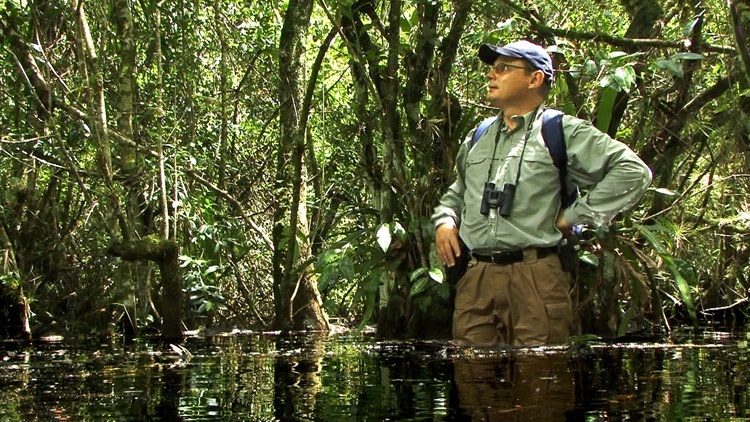 To learn more about the Wild Orchid Man project, or order a DVD for your local orchid society’s meeting programs, go online to www.wildorchidman.com or contact the authors. We sincerely thank Karen LaBonte and Reenie Page for initial financial support, Phil Chiocchio, Jessie Williams and Ed Mallory for assisting photography. We acknowledge the great support of the late Jessica Ventimiglia, and we thank Selby Gardens’ orchid grower Angel Lara and everybody else who contributed one way or another along the way in making this pioneer project a reality.